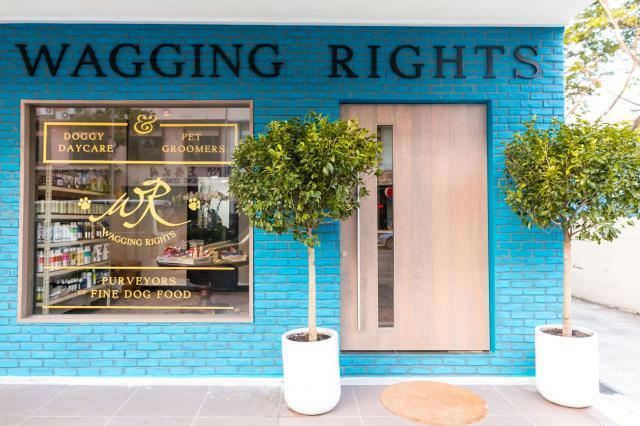 Last Saturday, we were invited to the opening of Wagging Rights SG! 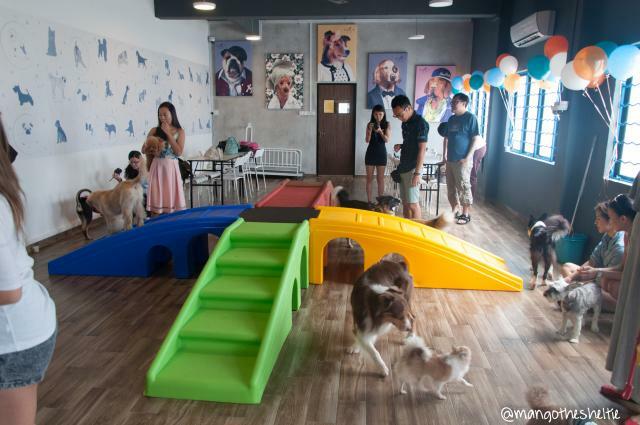 It’s a first-of-its-kind one stop total wellness destination for doggies in Singapore. I was really excited because I’ve been following them on Instagram (@waggingrightssg) and Facebook (Wagging Rights SG) and everything looked amazing! 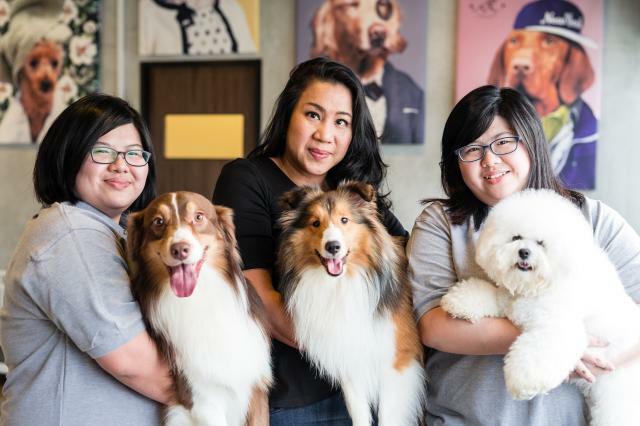 They provide grooming, daycare, pet-sitting, a pet concierge service, specialised programmes for puppies, a Get Fit programme for dogs in need of more exercise and also offers a carefully prepared selection of fresh dog food. One thing I can vouch for, is their grooming. Ever since I’ve had Mango, he has only been to Sheryl for grooming (with one exception to try out the groomer who is bf’s friend). So that’s a total of almost 2 years’ worth of grooming! And when I first got him, his fur was mad ugly. Really. But look at him now! 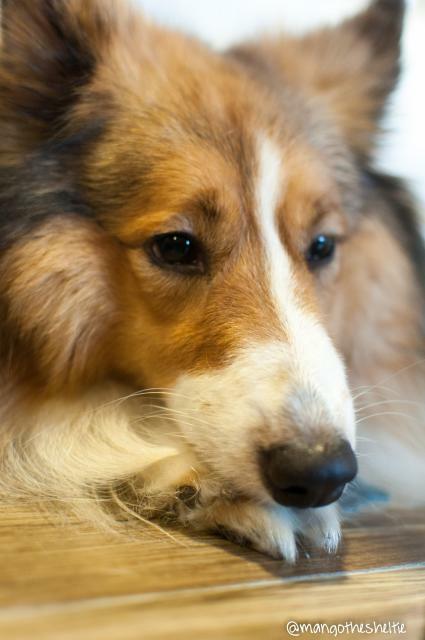 A proper groomer should know what to do/not to do for your dog’s breed/fur. Like when I first had Mango, his previous owner had him shaved down (though it was growing, but short). But the fur was very coarse and messy. 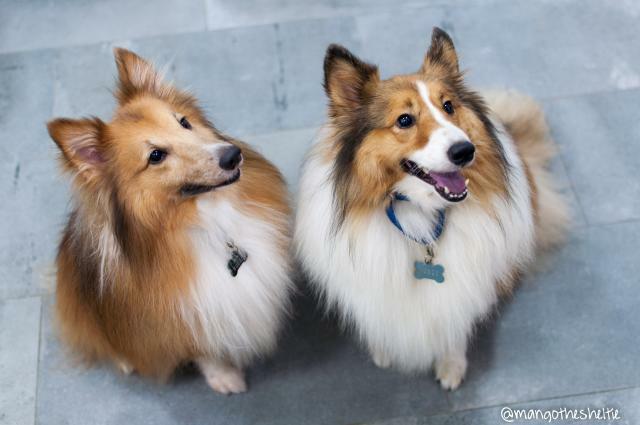 Being a first time owner, I asked them if I could just maybe shave him down again and let him regrow all his fur, but Sheryl said no, Shelties should never be shaved unless you’re left with no choice as it will spoil their fur. Proper advice should be given by a groomer who understands the breed. 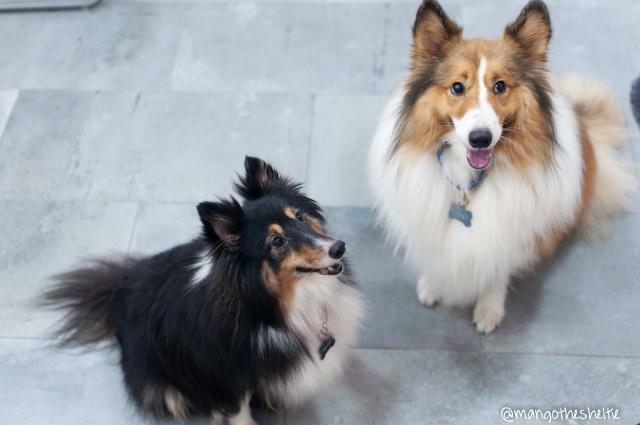 And we came to her with recommendation that she’s very experienced with Shelties! So we went on to visit them regularly to get his fur into better condition and removing undercoat so he won’t overheat in Sg weather. Now I’m a proud mama of a poufy doge. What amazed me most was the space. 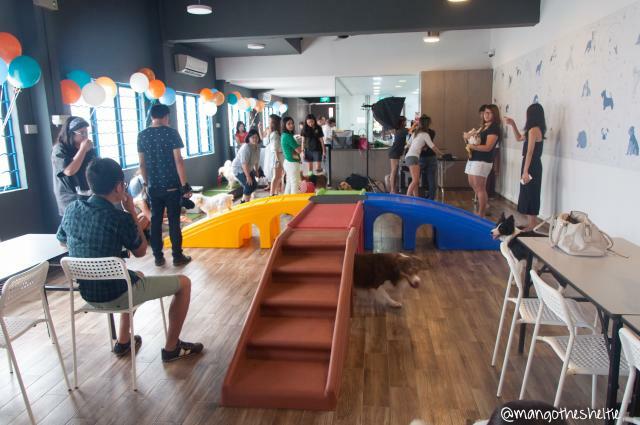 The play area which is also the daycare area, is spacious. Don’t mind the tables and chairs. They’re only there for the party. And that playground thing in the middle? That’s a doggy playground! 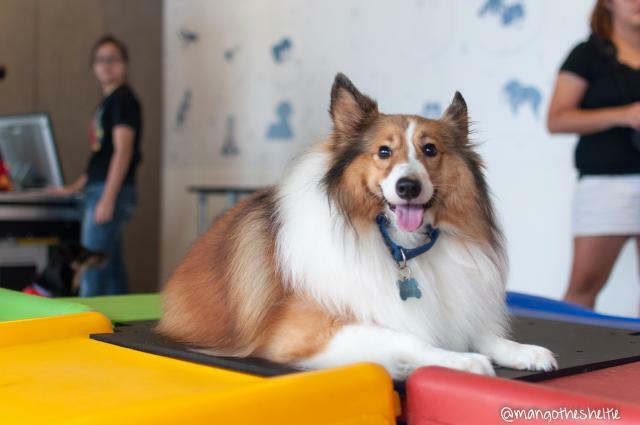 Made for dogs in the US at heights that are not too high or slippery like children’s playgrounds, and also wider, more suitable and safer for dogs. I love how Mango wasn’t afraid to try the playground up and only required a little coaxing to get him up on his own. 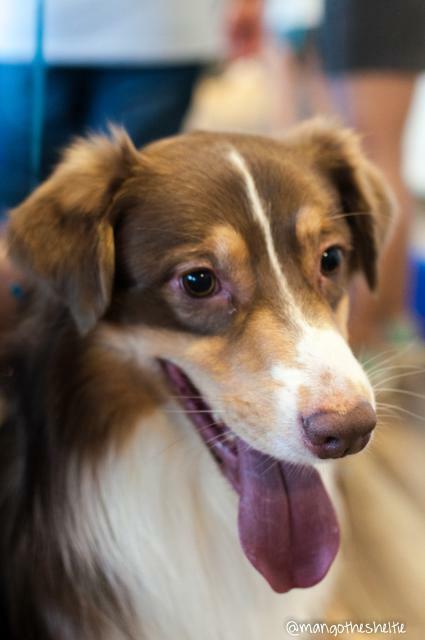 He’s a scaredy cat who doesn’t like to try new things, but he seemed entirely comfortable here at Wagging Rights! I was pleasantly surprised by that, seeing as to how we had to visit the same dog cafe multiple times for him to finally get out from under the table on his own. 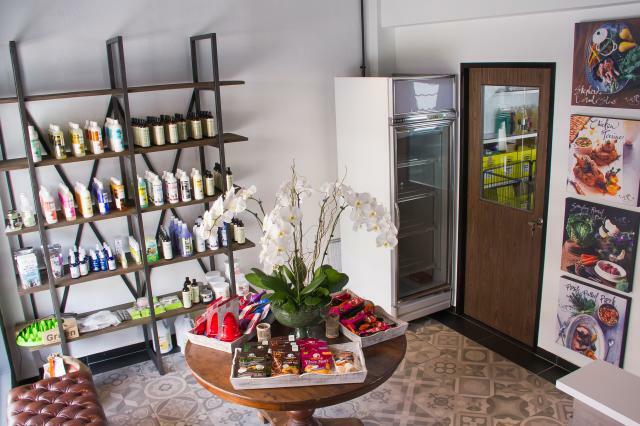 Also, the glass window room in above picture is the grooming room. Doggy toilets! Even with a hydrant! 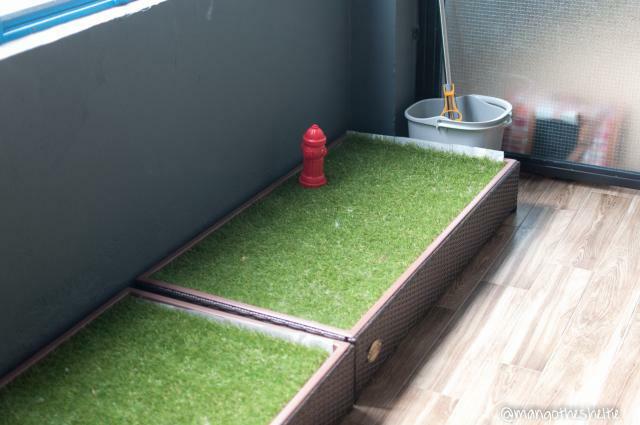 There’s even a corner with fake grass and a hydrant for doggies to do business. Pet Run treadmill for dogs! 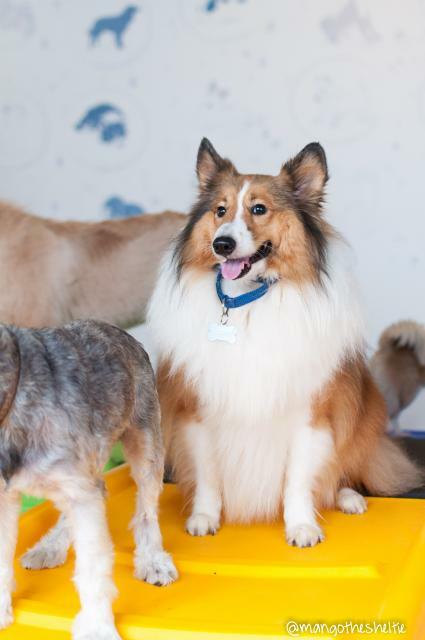 For dogs at daycare, a safe, temperature-controlled and clean environment for exercise. 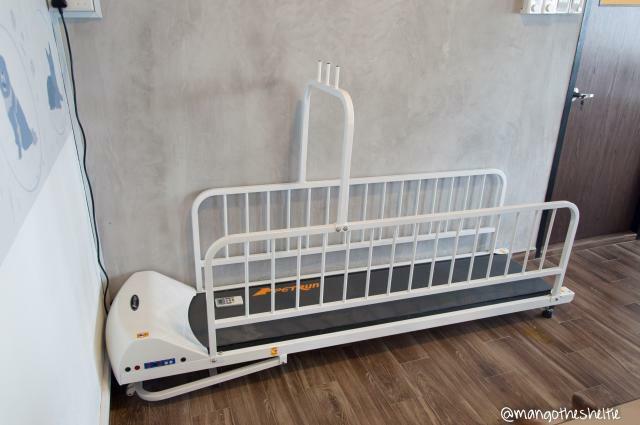 You won’t have to worry when it rains that your pooch does not get his walk while at daycare because he will still get exercise on the treadmill! 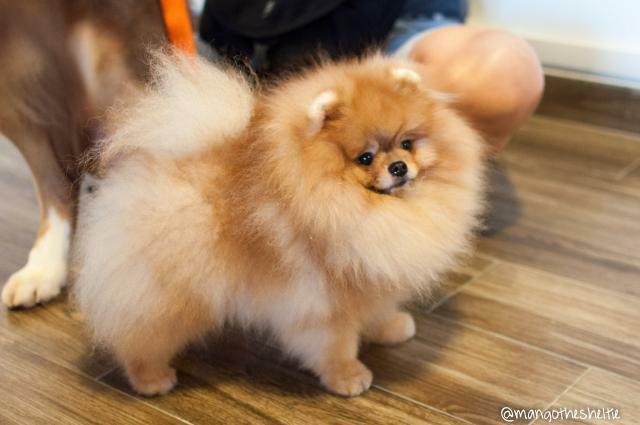 Well, this puts my mind at ease to know that Mango will be treated right while at daycare and grooming with them. 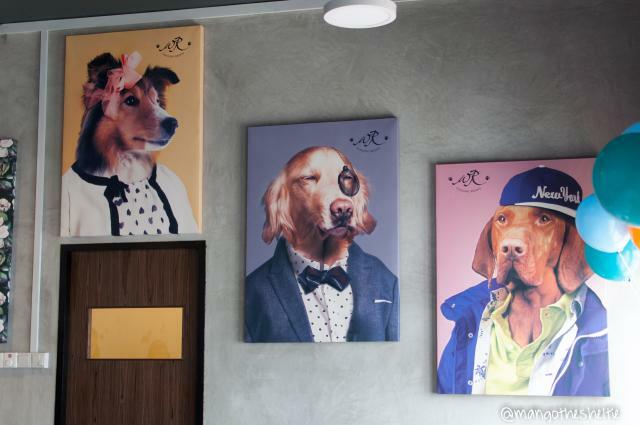 Did you know that they also have a Pet Concierge Service? Any doggy daycare client can now be booked in to be taken to the vet or hydrotherapy swim. How awesome is that! Though I would recommend only using the concierge to the vet for vaccinations (or small stuff) and not the big stuff where you obviously need to speak to the vet. But the hydrotherapy swim sounds awesome! There’s one pretty nearby! 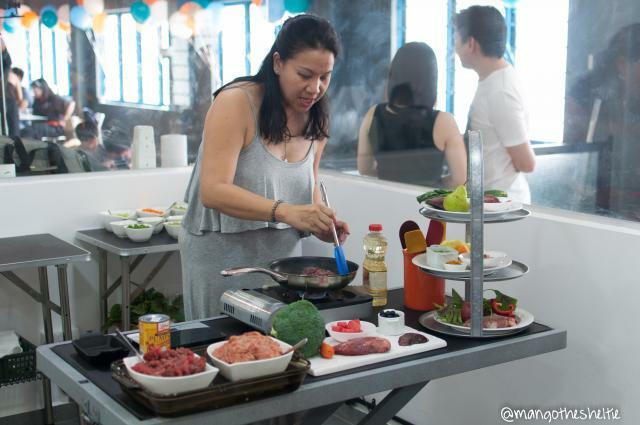 Ms Ong Luyi, Founder, was doing a food preparation demo in the grooming room. 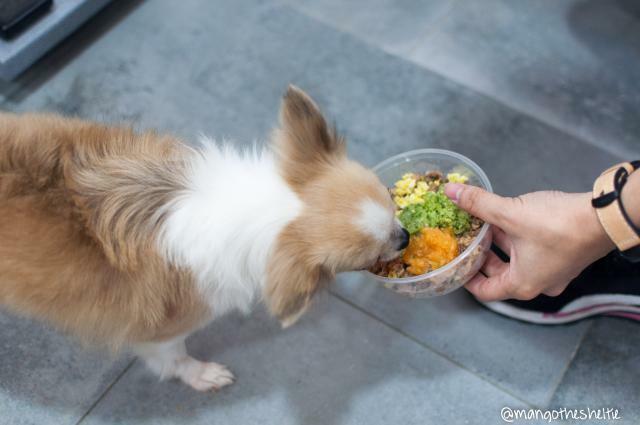 Careful thought was put into the food preparation process, which gives owners an ease of mind because only human-grade ingredients are used and in proportions that have been well-researched with appropriate supplements. And the whole room smelt so yummy!! Made me want to eat everything instead of giving to the dogs. 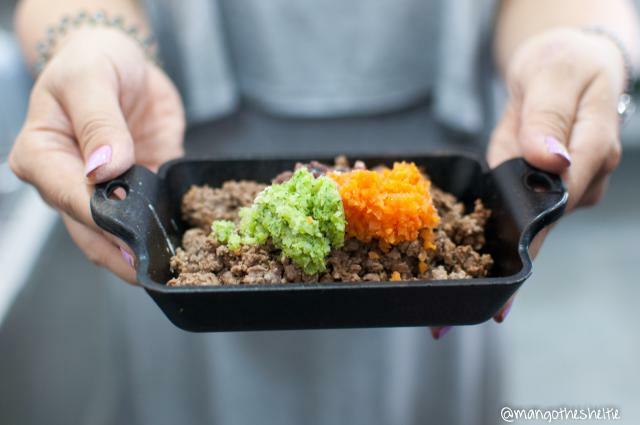 She prepared a sample each for those of us who wanted to let our dogs try! Lucky dogs! 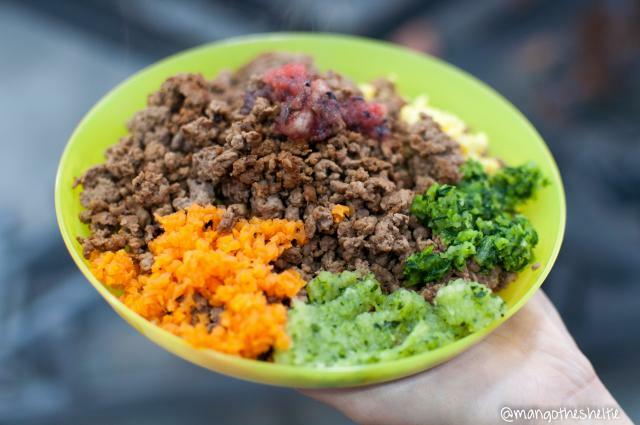 Raw versions of the meals are available too! And if your dog is allergic/unable to take any of their ingredients, just let them know! 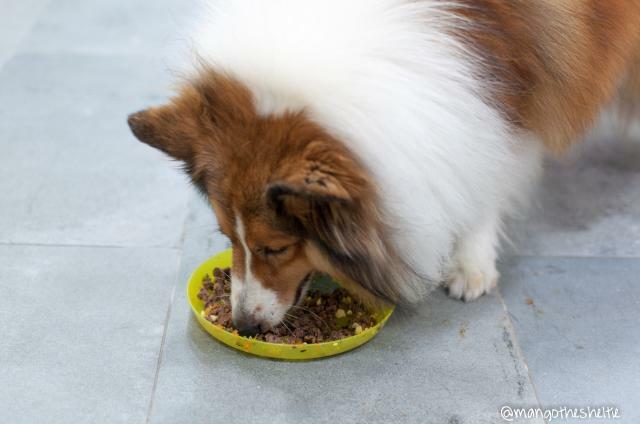 Thing with limited ingredients recipe is that it is easier to detect what your dog can’t eat. 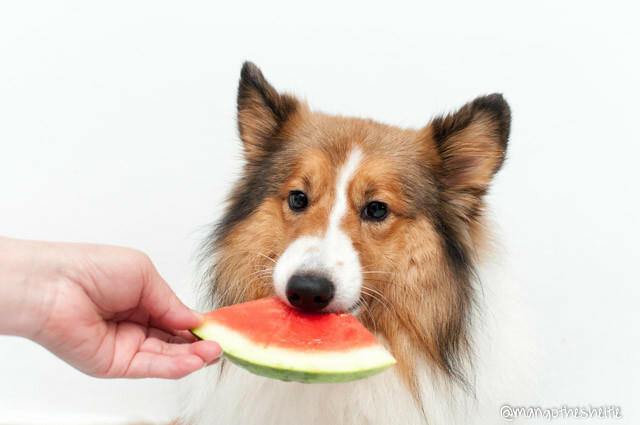 As opposed to kibbles with a long long list of ingredients, you can only say “oh my dog can’t eat this brand/type of kibbles” and not know exactly what he is allergic/sensitive to. Beef with offal, carrots, kale, Chinese cabbage, berries/watermelon purée and egg for Mango, Echo and Nugget to share! All in all, I really love the place! I love how he does not feel nervous in a new environment which is what usually happens but is relaxed and visibly happy. Happy dog, happy owner, right? Also, check out these reviews by lifewithlycanlexie and somewhitecookie! that looks like one exceptional place and all of the dogs look soooo happy! It is! 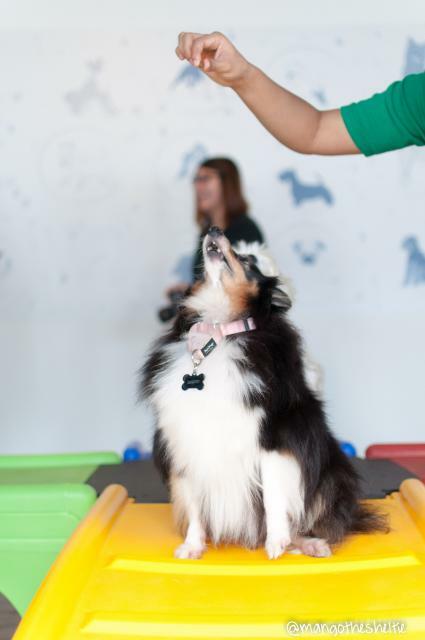 I hope to be able to send Mango there for more daycare sessions! Thank you! I can’t stop touching him. HAHA!